Cooker Hoods come in four major groups. The Canopy Hood and Integrated Hood both have the facility for cupboard space above. They can be vented. Island Hoods should be considered a feature, as they will sit in the middle of a kitchen above an island. Chimney Hoods have a variety of sub-groups, but are the most common and will provide the most choice for styles and price points. 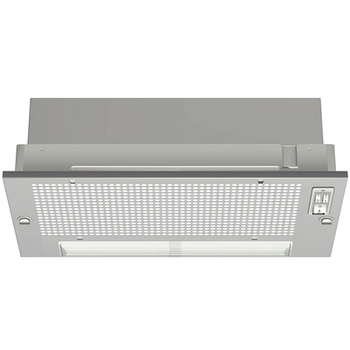 Canopy Hood: Discrete and designed for function rather than style these simple models will do the job of a Cooker Hood but are hidden away under a cupboard. 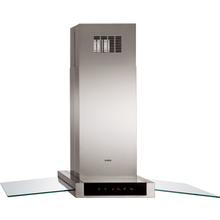 This is a Smeg KSEG77X-1. 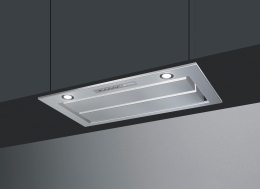 Integrated Hood: Similar to the Canopy Hood in that they are designed to be hidden behind cupboard doors, it allows for space to be used to its fullest. This is a Bosch DHL535BGB. 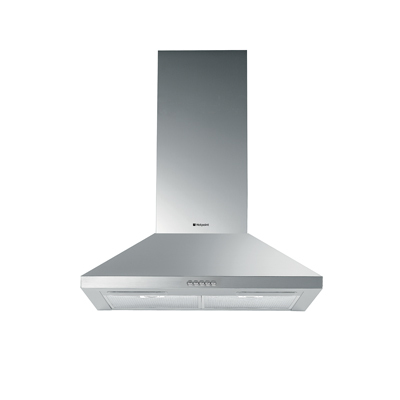 Chimney Hood: A Chimney Hood provides an attractive view point in your kitchen. They descend from the ceiling to make a feature or fit between two kitchen units. This is a 60cm Hotpoint HE6TIX. Island Hood: In large kitchens the cooking area is often central which allows for an island cooker hood to feature as a focal point centrally and often, impressively.